The 10 Best Summer Activities in Mississippi! Here in the Magnolia State, summer starts early and doesn't end until the beginning of October. Summer days in Mississippi are known for being hot, humid, and long. Don't waste your whole summer sitting in front of the TV! 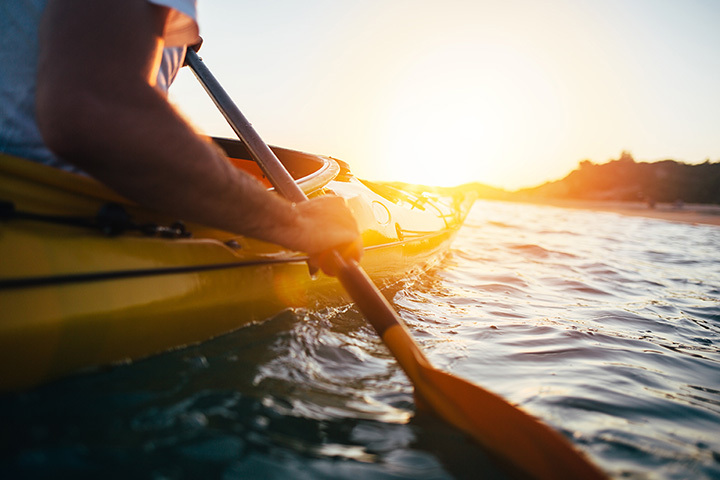 From island cruises, to festivals, to theme parks, get out and enjoy one of the 10 best summer activities in Mississippi. Any summer day on the beach is a good day, but you can make it great with a Parasailing Adventure! Start off with a fun and relaxing boat ride, then you'll be attached to a custom parachute (known as a parasail). Glide over the water, enjoying the Gulf breeze and beautiful views from the safety of your harness. Geyser Falls is an impressive water park sprawled across the Mississippi Delta. It features 13 water slides, from toddler-friendly mini slides to daring six-story drops. There's also a wave pool and a lazy river, as well as several places to eat. Just off the coast of Missisippi are a number of idyllic barrier islands, home to white sand beaches nestled in the crystal-clear waters of the Gulf of Mexico. Ship Island Excursions are popular day trips, leaving from the Gulfport Harbor and returning twice daily. The boat ride alone is worth the trip! The Delta Jubilee is an annual event which showcases local musical talent as well as art displays, crafts vendors, and a barbecue cooking championship. Residents of the Delta look forward to the Jubilee every June, and as a bonus, entry is only $3! Floating down a river with friends is one of the most relaxing and fun ways to spend a summer day outside. Visitors to Ryals Canoe & Tube Rental can choose to rent either a canoe or a tube and float down the Bogue Chitto River for the day. A day at the lake is a great summer excursion. Arkabutla Lake is a hidden treasure in Northwestern Mississippi. It is a reservoir created in the Coldwater River by the U.S. Army Corp of Engineers in the 1930s. This lake is excellent for boating and fishing, and there are several nature trails to enjoy. Every year during the first week of June, Elvis fans from all around the world gather in his hometown of Tupelo to honor the King of Rock N Roll. The festival includes a Tribute Artist Contest, where fans choose the Elvis impersonator who will represent the city of Tupelo during Memphis' August Elvis festival. Cool off and enjoy a little culture at the Mississippi Museum of Art this summer. Enjoy special events, including children's art classes, art therapy, and even live music. Or just stroll through the halls of the museum, enjoying sculpture, paintings, quilts, and more. Summertime is the perfect time to escape for the weekend to go camping. J.P. Coleman State Park at the corner where Mississippi meets Alabama and Tennessee is home to beautiful Pickwick Lake. There are campsites, cabins, and cottages all throughout the park. And if rustic camping isn't your style, there's even a motel! Harrison County is home to 21 specially-made bonfire pits all along the length of the beach. Many of these are accompanied by benches, tables, and barbecue grills. They have to be reserved in advance, but the permit only costs $5 (with a returnable $25) from the Sand Beach Authority.